Whether freight, commuter, or industrial, all rail lines experience difficulty with maintenance and repair due to the impact closures have on businesses and the local community. Coordination of logistics, including minimizing traffic delays, is key. One challenge is upgrading crossing surfaces so that they can handle new and increased loads. Several jurisdictions, including the rail line and state and city Departments of Transportation must keep the rail surface smooth and safe, while minimizing impact on traffic during maintenance. The StarTrack® HD system by Oldcastle Infrastructure, A CRH Company, offers a durable solution for rail lines of all types. We take a close look at two different examples of using the product on heavily-trafficked railroads. The highway-rail crossing on Sand Creek Road and the Union Pacific Railroad in Laramie, WY, is located at the entrance to the cement plant owned by Mountain Cement Company. On average, the 40 track foot crossing receives 80 loaded cement and ore semi-trucks and 20 mainline train movements per day. 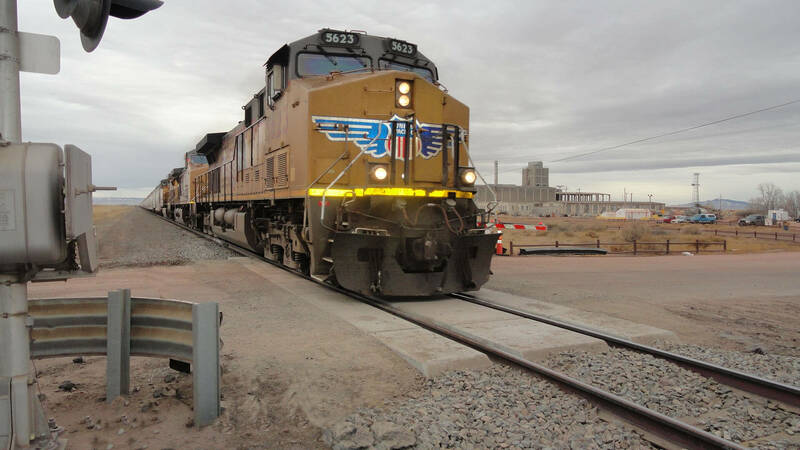 Because of the high impact load from the cement plant's semi traffic, this crossing surface once required frequent maintenance by the Wyoming Department of Transportation (WYDOT) and Union Pacific Railroad (UPRR). 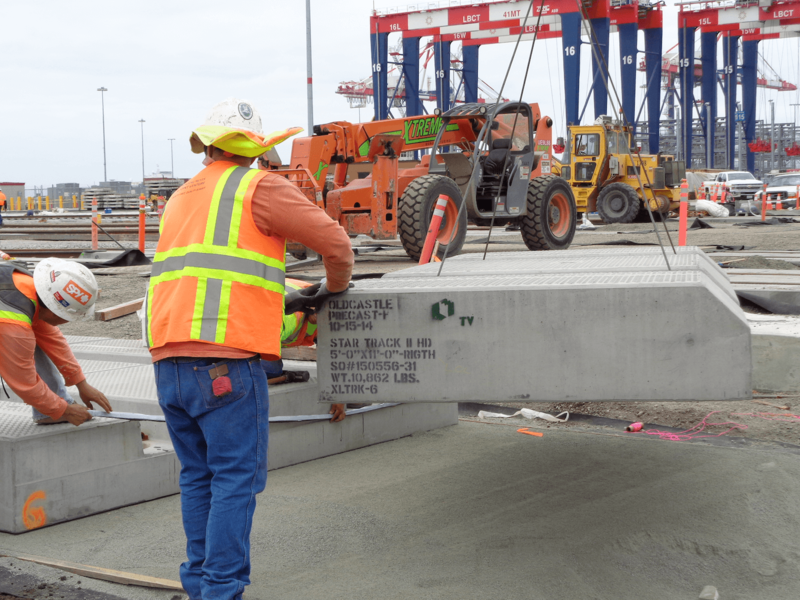 On an annual to semi-annual basis, the standard lag type precast concrete crossing panels on timber ties had to be replaced and the track resurfaced. In 2014, representatives from WYDOT and UPRR met with CRH representatives regarding replacement solutions for the crossing. WYDOT purchased the StarTrack® HD system and UPRR contracted with civil contractor Rocky Mountain Sand & Gravel to provide installation services in coordination with UPRR track crews in November 2014. The cost of the project was spilt 50/50 between the railroad and WYDOT. Oldcastle Infrastructure designed, engineered, manufactured, shipped, and installed approximately 5,000 linear track feet of their patented Standard StarTrack® 17’6” modules for the railroad grade crossings at the Twin Cities Metro Transit - Hiawatha Light Rail Line. 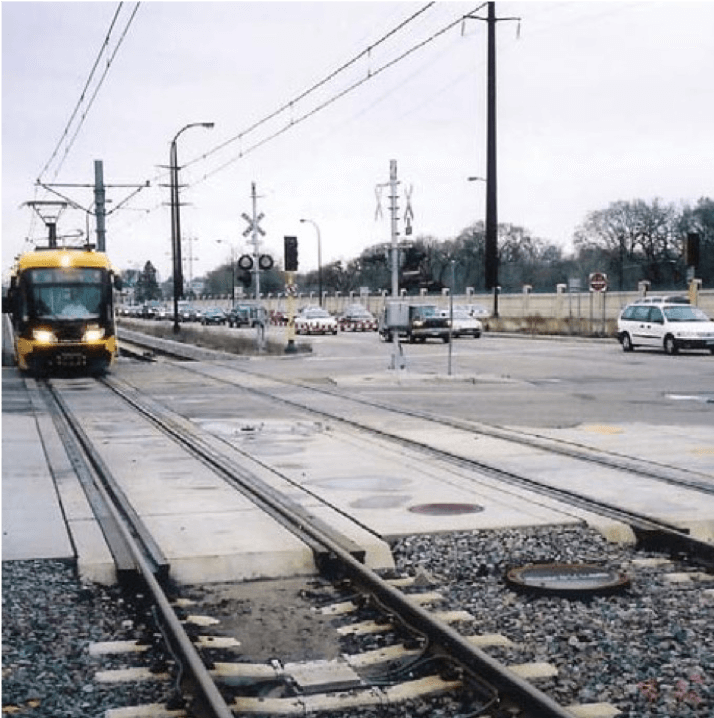 The line extends 11.4 miles from downtown Minneapolis through Minneapolis - St. Paul International Airport to the Mall of America in nearby Bloomington, MN. The track work portion of Railworks Corporation’s contract included embedded, ballasted, direct-fixation track and special track work, electrical work, site improvements, traction power system, catenary, signaling, and at-grade crossing modules. 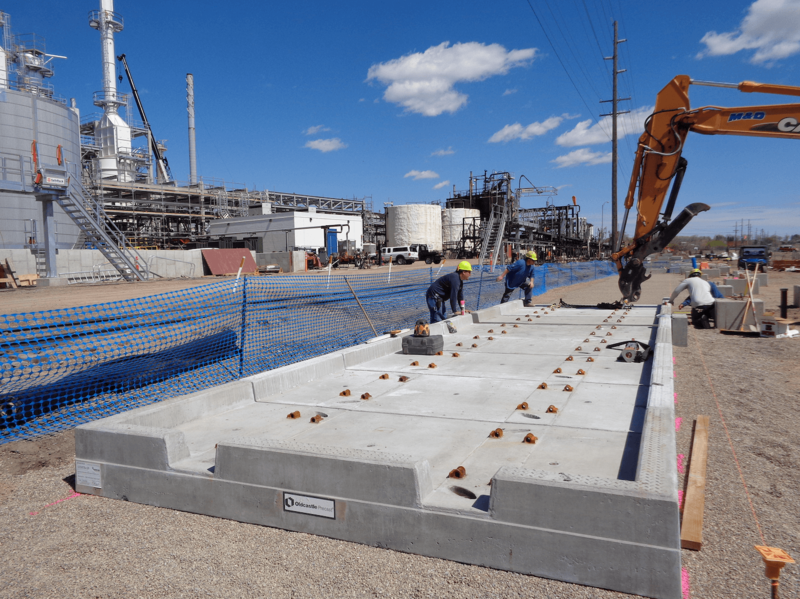 The precast crossing modules allow for fast manufacturing and construction. On this project, Railworks was able to install crossings quickly, which allowed the crossings to open to vehicle traffic before pulling the rail at several of the locations. The StarTrack® product consists of a smooth surface that is ideal for both cars and railroad tracks. Visit Oldcastle Infrastructure to learn more.